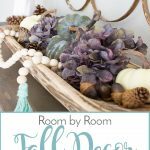 Welcome to the Room by Room Fall Decor Series! In this series I am sharing some easy tips for adding fall decor to the various rooms of your home. 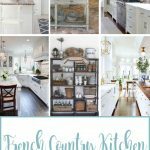 Each week I will focus on a different space, and this week we are taking a look at fall decor inspiration for the kitchen and dining room! 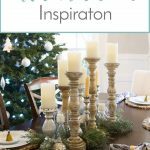 The dining room is one of my favorite places to decorate for the seasons. It is a primary gathering space for important events like Thanksgiving dinner, so adding touches of fall decor in this room is important to me. I also love to decorate my kitchen, which not many people think to do! The kitchen is generally the heart of the home; everybody ends up chatting in there at some point during gatherings, don’t they? 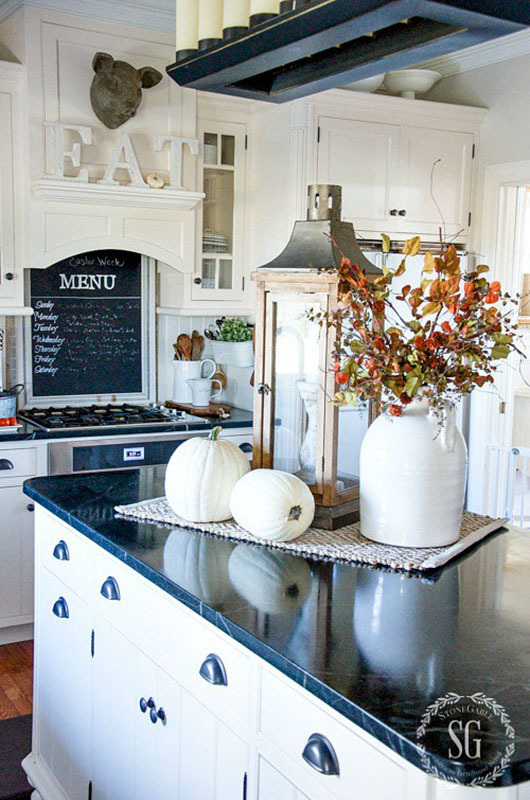 It just makes sense to me to add a bit of fall in the kitchen as well since it is such an important part of the home! So, without further ado, here are some of my favorite ways to add fall decor to your most lived-in spaces this fall! The kitchen and dining room have prime real estate to add some floral centerpieces! Use a beautiful vase, a crock, or a bowl and add some beautiful fall florals to create a stunning focal point. Don’t forget to add some painted pumpkins (they come in all shapes and sizes)! The dining room is one of the best places to add some pumpkins, signs or other bits of fall decor to your shelves. Most people who have a dining room have a hutch or cabinet or wall shelves of some sort. Sprinkle a few sprigs of fall foliage, some stems of fall florals, some pumpkins or pinecones among the treasures on your shelves for an easy fall refresh. 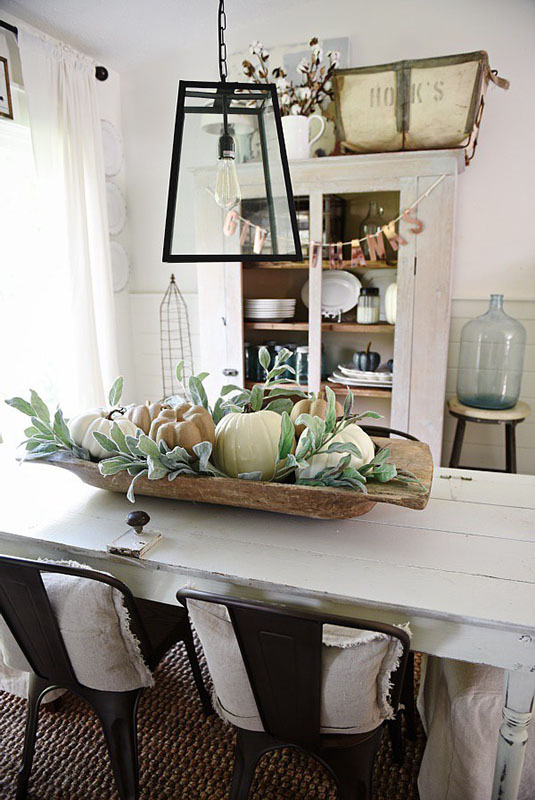 Tiered trays are one of the easiest ways to add seasonal decor to a kitchen or dining room. 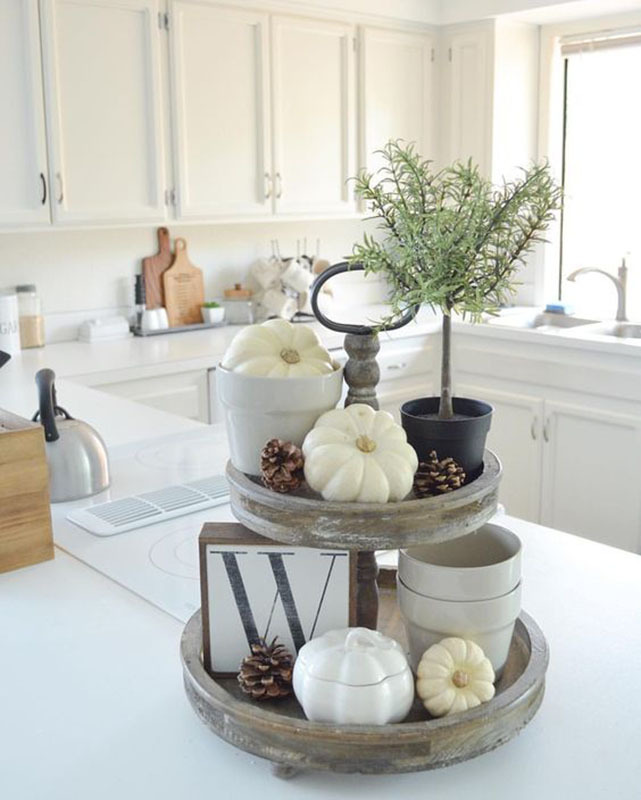 You can arrange all kinds of things on the shelves of the tray to make a beautiful and festive fall vignette! I love changing my linens for the seasons! 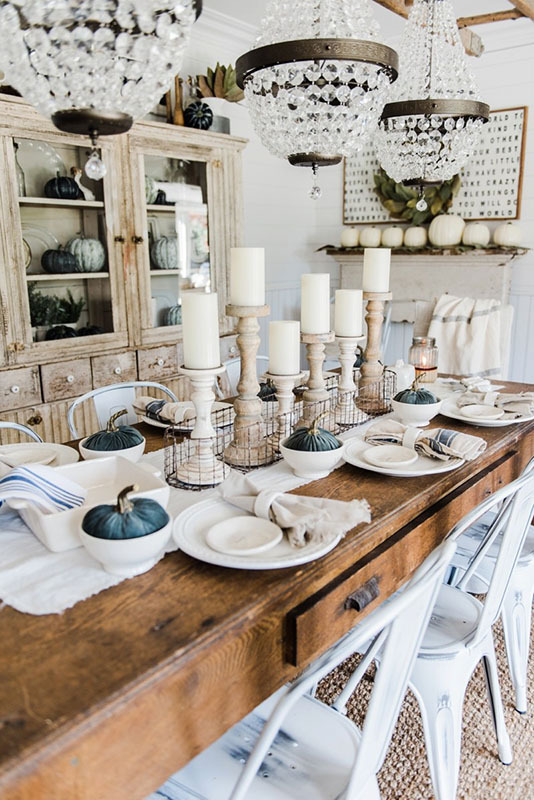 For the fall, I love to use my neutral, linen-style napkins or line my table with a ticking stripe runner. You could even add a few fun fall throw pillows on your dining room chairs! Dough bowls are one of my absolute favorite things in the world. I have a minor obsession with them. And they are incredibly versatile! You can easily create a stunning fall centerpiece using a dough bowl, some pumpkins or gourds and a few springs of eucalyptus or lambs ear. Simple, stunning, and easy! If you have a dining room table, you absolutely have to have some fall-friendly placemats and chargers! 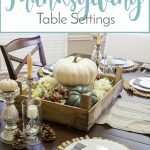 This is one of the easiest (and one of my favorite) ways to change up the look of your dining room for fall. 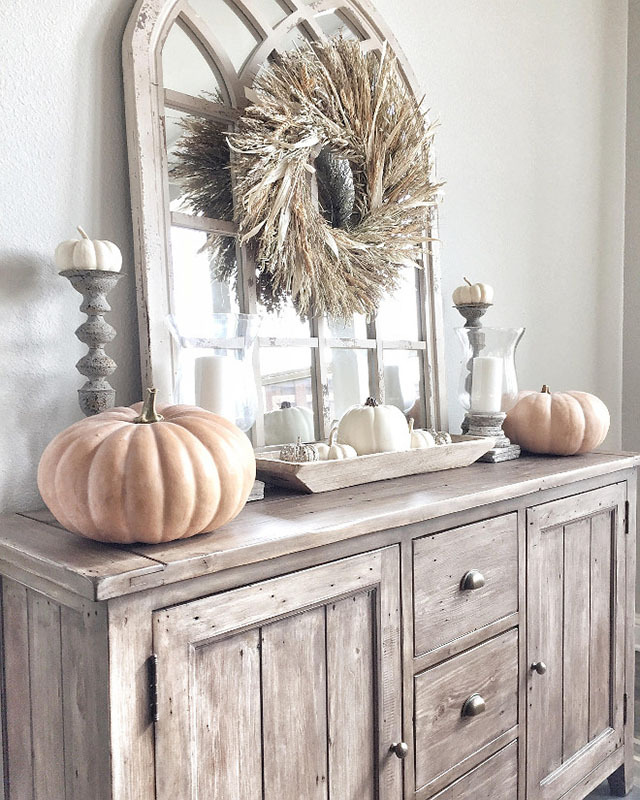 Adding a wreath to the front of a mirror or on the wall or even hanging from the top of your china hutch is a great way to add a fall touch to your space. I love to hang wreaths all over my house (I may have a slight wreath obsession). They really serve to warm up a space and can easily be made if you don’t want to spend a ton buying them! 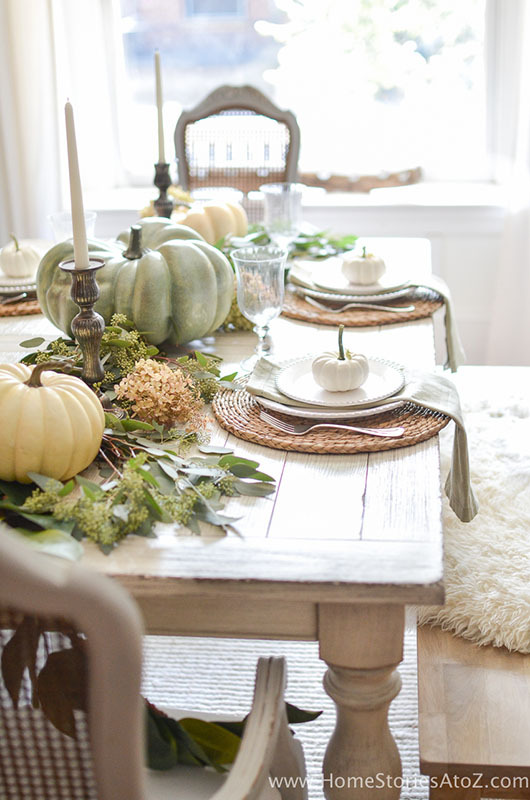 Adding fall decor to your kitchen and dining room is easy and fun! 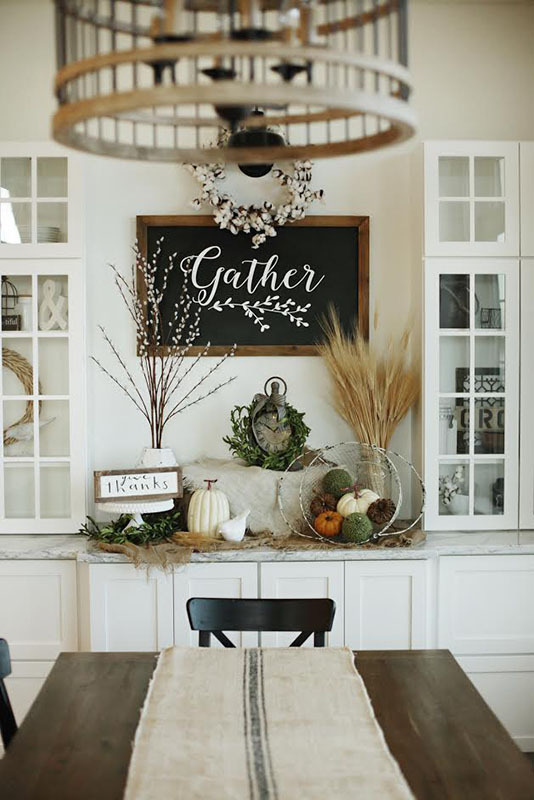 I hope these tips can help you get your gathering spaces ready for fall. Stay tuned for the next post in the Room by Room Fall Decor series where I’ll show you how to add fall decor to your bedrooms and bathroom! SO gorgeous!! I’m so excited to decorate for fall now!! 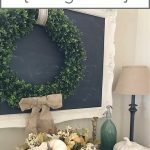 I love wreaths and rustic signs for the fall! I just need a few more finishing touches for my fall decor this year! Umm… I had never heard of a dough bowl before, but now I’m 100% certain that’s what my life has been missing. I love ALL of these ideas!! !